CHARLOTTE, N.C. — The Charlotte Area Transit System (CATS) launched its new “See Something, Say Something” app, which allows cellphone users to report suspicious behavior or other concerns directly to the agency, The Charlotte Observer reports. 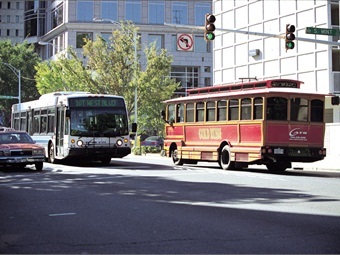 With the mobile app by Elerts Corp., bus and transit riders in Charlotte can submit reports of suspicious or criminal activity to transit police. The app can be used to send photos, video, text and GPS maps pinpointing the location of a potential problem. For the full story, click here. The app automatically disables the user’s smartphone flash to ensure discretion, and reports can be made anonymously. The recognition goes to agencies that achieve top scores during an annual review of 17 categories. The ads empower riders to report and intervene if they witness or experience an incident of harassment. In total, 660 existing cameras were upgraded and 340 cameras were added.